The apple is a favorite fruit in the Middle East, and though they do not grow any of the fine variety of apples of which we are accustomed to eating, they still grow several varieties of apples. In the Middle East, they habitually smell an apple to revive them when they feel faint (Song of Solomon 2:5). During Solomon’s day, it was a rare fruit and greatly loved (Solomon 2:3, and 8:5). 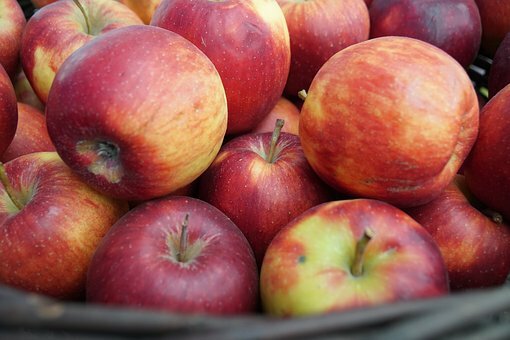 When it comes to the apple, did you know that there are over 7,200 varieties worldwide; and they come in all shapes, sizes, and colors? Apples spread across America, thanks to an itinerant preacher by the name of John Chapman. Chapman spread apple seeds all across his property. As the trees grew, he began to sell the apples or even give them away, whichever suited his fancy. Chapman began spreading apple seeds everywhere he went. His desire was for others to enjoy the fruit as much as he did. You probably know John Chapman better as Johnny Appleseed. Apples have many health benefits. Their fibrous juicy nature helps to clean our teeth and exercise our gums. Apples are said to remove impurities from the liver. It is said that, if eaten daily, the apple can help prevent skin disease, arthritis and liver problems. Just as the apple removes impurities from the body, God’s Word removes impurities from the soul. So I will let you decide if you need an apple a day, but we all need a daily bite from God’s Word. ✞ Eat daily from God’s Word. It is sweet and refreshing to the soul.